Money! Power! Respect! These are all words that come to mind when I think of Wall Street. (They’re also the name to the 1990’s hip-hop group The Lox’ debut album…btw.) But, with the release of Martin Scorcese’ The Wolf of Wall Street I can now officially add a few names to my Wall Street lexicon; DiCaprio, Hill, and McConaughey. Coming off his Gatsby trip, it seems Leonardo DiCaprio is taking on another role where he plays a person in power. 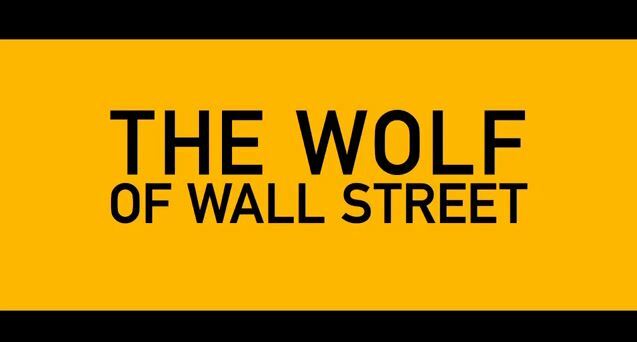 IMDB calls The Wolf of Wall Street, “The story of a New York stockbroker, played by DiCaprio, who refuses to cooperate in a large securities fraud case involving corruption on Wall Street, the corporate banking world and mob infiltration.” Although the trailer gives the feel of McConaughey as the puppet master and DiCaprio as the unwilling participant in a game that probably won’t end well (the serious/dark side of the film), the antics that ensue in the office are Hangoveresque and reminiscent of Animal House pranks and Rat Race comedic wagers (the fun/bright side of the film). I feel like this movie will have a great balance of glamour, danger, thrills, and laughs. I mean you put Jonah Hill in a film with Matthew McConaughey as the lead antagonist and there has to be SOME comedic relief in there. I feel that the combination of those two paired with Dicapprio, Jon Bernthal (The Walking Dead), Jon Favreau (Iron Man 1 – 3), and Martin Scorcese’ directorial leadership guarantees a great film. Sorry if I set the bar kind of high there. But hey, I expect this movie to be good and succeed at the box office. But, I guess we’ll have to wait until it releases on November 15th to find out. Until then, check out the trailer below and let me know if you’re as excited about this film as I am.